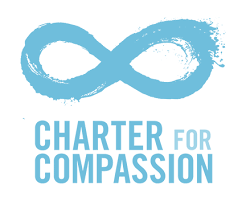 The Charter’s Compassionate Communities program is not a certificate program that offers a seal of approval, nor does it subscribe to a single definition of a Compassionate Community. 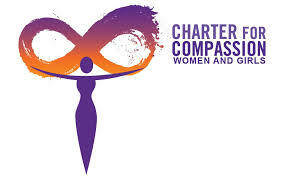 Instead, the Charter for Compassion invites communities of all sizes to bring compassion to life in practical, specific ways through compassion-driven actions—in neighborhoods, businesses, schools and colleges, healthcare, the arts, local government, peace groups, environmental advocacy groups, and faith congregations. A compassionate city is an uncomfortable city! A city that is uncomfortable when anyone is homeless or hungry. Uncomfortable if every child isn’t loved and given rich opportunities to grow and thrive. Uncomfortable when as a community we don’t treat our neighbors as we would wish to be treated. The cities and communities that sign on to become Compassionate Cities and Communities have often begun their work by identifying the issues that are troubling the community and need to be addressed through compassionate action. For example, a community may discover a significant issue related to social justice– for women, for immigrants, or for some other marginalized group. Other communities may want to address issues of drug use, gang violence, the lack of equitable healthcare, or the effects of environmental racism. Others may decide to work to provide empowerment to youth or to educate their communities about the need for compassion in addressing environmental issues. To link community partners throughout the world to share their work, experience, resources and needs in one place in the world with partners in another area of the world that can help each with their efforts to bring compassion to their communities. Discover & Assess: Find areas of human suffering through available sources of knowledge from Civic Leadership, Law Enforcement, Academic Institutions, and Faith Community. Focus & Commit: Conduct positive conversations about the causes, issues; identify measurable goals, and formulate compassion driven plans of action with committed community partners. Build & Launch: Build a campaign to educate the broader community about compassion; launch a kickoff event, and action plans to be implemented. Evaluate & Sustain: Monitor and measure sustainability and progress; reflect; share success, and make adjustments as needed. Make the compassionate ideal a practical, effective, and enduring force in a world that is in danger of forgetting it.